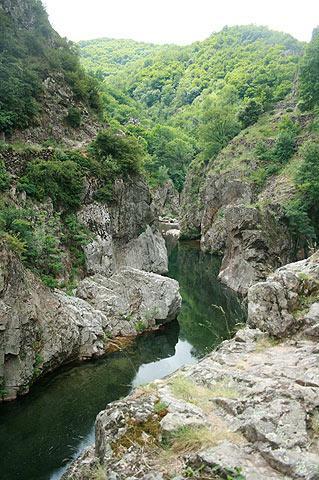 Thueyts is situated in the Ardeche Valley, in the Natural Regional Parc des Monts d'Ardeche. 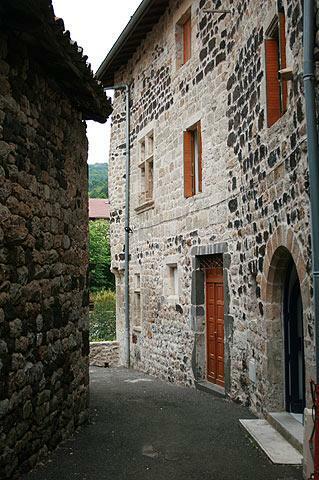 The village is classified as one of the Ardeche 'villages of character'. Note: don't judge Thueyts by the view from the main road as you pass by, because the 'old' village is about 100 metres behind and largely hidden from view. 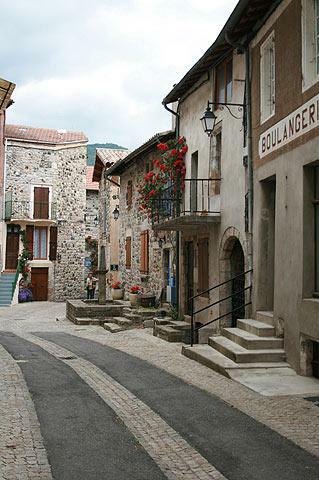 Although small, the village of Thueyts is very picturesque and well merits an exploration. 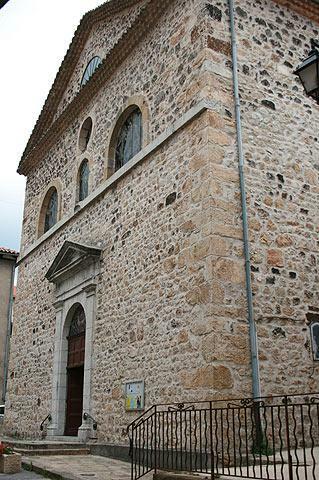 It is slightly more renovated than some of the other villages of character and there are lots of interesting buildings and features to discover and enjoy, including the Church of Saint John the Baptist (a 19th century church with a 17th century belltower built to replace a 10th century church). 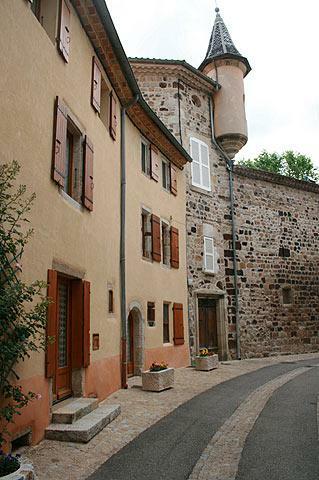 See also the Pouget Tower, and numerous smaller traditional features such as decorative turrets and windows. There are also several particularly fine renaissance buildings - see in particular the 'Maison des Deux Tetes' and the 'Maison Michel Pichot de Lespinasse' as examples. 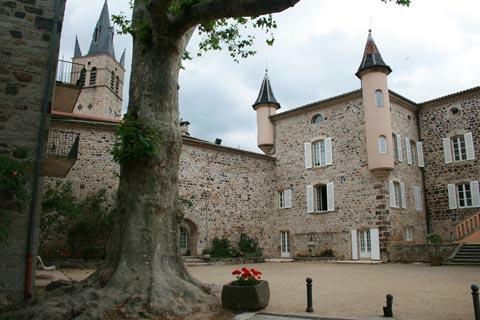 The castle in Thueyts, the Chateau de Blou, has origins that date back to the early medieval period but numerous modifications across the centuries mean that the castle we see today is essentially an 18th century reconstruction. The little Chapel Saint Roch that stands on a rocky outcrop above the village dates from the 17th century. 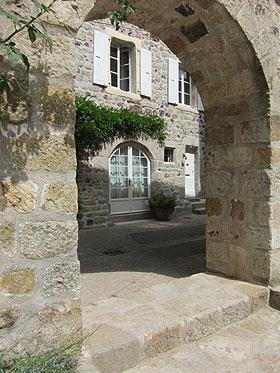 The village also has a small museum, 'Ardeche d'Autrefois', which brings together many everyday items used in the village and region across the centuries. 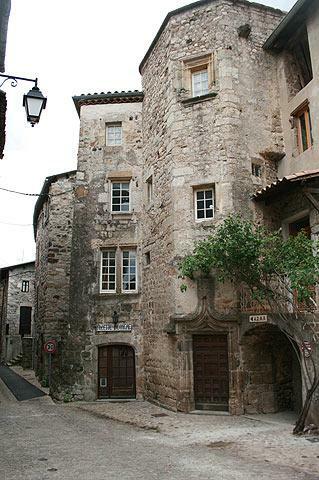 France This Way comment: although well worth visiting when you are in this part of the Ardeche, we wouldn't consider Thueyts to be an 'unmissable' highlight of the region like the historic villages such as Labeaume, Vogue or Balazuc. A significant part of the appeal of Thueyts is the natural highlights that are very close to hand. These include the Giant's Causeway, with some of the tallest basalt columns to be found in Europe, the Devil's Bridge (Pont du Diable), the Guele d'Enfer, the King's Staircase and the Queen's Staircase. 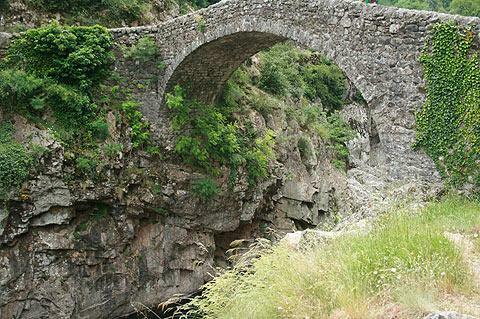 The Devils's Bridge is a couple of kilometres below Thueyts (signposted) and is an ancient stone bridge crossing the ravine. Upstream from the bridge is a small river beach, while below there is a very pretty view along the ravine. It is a lovely spot for a picnic and you are likely to think this is the highlight of your visit to Thueyts so don't miss it! 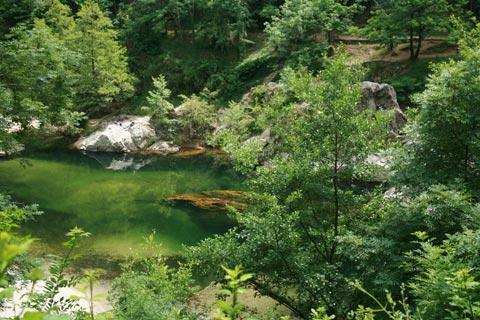 There are also several walks and trails in the area that offer impressive views.